(Turin) last Monday, 22 June Pope Francis appeared in the main church of the Vaudois, the day after his pilgrimage to the grave Shroud of Turin in the Piedmontese capital. It was a scene that was recorded photographically. 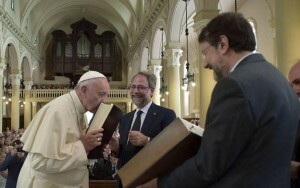 The Waldensian pastors handed Pope Francis their Bible that the Pope kissed before their eyes. A "disturbing" image, says Chiesa e postconcilio . "What does the great catechism of St. Pius X, # 887. What should a Christian do if he is offered a Bible by a Protestant or an emissary of the Protestants? Answer: When a Christian of a is offered a bible by a Protestant or an envoy, he must reject it with disgust, because it is forbidden by the Church; when he accepts it, not noticing, then he must throw it immediately into the fire or deliver his pastor." As far as radio Spada thinks of the episode, what Pius X. here recommends Christians recommends, so too did St. John Bosco, as he stood against the Waldenses. "Unchristian, Inhumane Behavior" of the Catholic Church? Pope Francis has entered as the first Catholic Church leader, into a Waldensian Temple. Certainly it's an historic moment. The Catholic Church leader is quoted in his address to the Waldensian from the Scriptures and that - as expressly stated - in a "interconfessional version". Francis apologized to the Waldenses for everything that was done to them by Catholics: "On the part of the Catholic Church, I ask you for forgiveness for the unchristian and even inhuman attitudes and actions, which we have done in history against you. In the name of the Lord Jesus Christ, forgive us! " "Pope Overcomes a Wall of Charges of Heresy"
The Moderator of the Waldensian Table, Pastor Eugenio Bernardini replied: "The Pope has overcome a wall that was built eight centuries ago when our church was accused and excommunicated by the Roman church of heresy." The pope did not argue. The Waldensian movement originated as mendicants in 12th century Lyon from the teachings of the merchant Peter Valdes. They understood themselves in response to the civil power then exerted by the Roman Church. Today, they are commonly referred to as aligned to Calvinist Protestants. They practice a number of errors that have similarities with the Donatists. St. Augustine said of these heretics: "In many ways, the heretics are with me in some others, not; but because of these few points, where they separate from me, it does not help them in everything else to be with me." (In Psa. 54, no. 19, PL 36, 641). 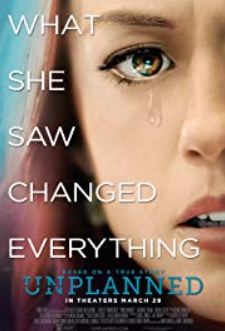 Historically, it is also important that about half of the adherents were liberals and Freemasons in the 19th century who crossed over from the Catholic Church to the Waldenses. This fact and its liberal attitude meant that they had a lot of weight in spite of their small numbers in state-supporting circles of Turin. Pius XI. against the "Panchristians"
"These things and others that class of men who are known as pan-Christians proudly repeat and disseminate; and these men, so far from being quite few and scattered, have increased to the dimensions of an entire class, and have grouped themselves into widely spread societies, most of which are directed by non-Catholics, although they are imbued with varying doctrines concerning the things of faith. This undertaking is so actively promoted as in many places to win for itself the adhesion of a number of citizens, and it even takes possession of the minds of very many Catholics and allures them with the hope of bringing about such a union as would be agreeable to the desires of Holy Mother Church, who has indeed nothing more at heart than to recall her erring sons and to lead them back to her bosom. But in reality beneath these enticing words and blandishments lies hid a most grave error, by which the foundations of the Catholic faith are completely destroyed." As Pope Francis in Turin attended a Waldensian Temple, it is good to remember St. John Bosco, who had done great things in this city. So great that Francis also paid a visit to the Centre of the Salesian Order, founded in the Valdocco in Turin by Don Bosco with the large church of Mary Help of Christians. The Saint lived from 1815 - 1888 and experienced at that time the Italian unification movement, which was to smash the Papal States in 1870. The Kingdom of Sardinia-Piedmont, with its anticlerical-Masonic state doctrine prepared big trouble for the Piedmontese saint. . As the state persecution finally subsided, then entered these Waldenses who were placed at the service of the new kingdom. They unfurled lively propaganda activities in Turin, with attacking Don Bosco and sought to discredit him to the public. Finally, they called him confidently out to theological disputes. All Waldensian leaders of Turin appeared to dispute the Saints, however, were defeated. Finally, they offered the best known of their pastors, Jean Pierre Meille from Provençal Luzerna e San Jan in Piedmont. The debate in Valdocco took seven hours until it ended with a comic scene. Don Bosco had tried to reason with the history and with the Latin Scriptures. But Meille did not want to admit defeat, and finally said that the Latin Bible was not enough, one must consult the Greek text. Don Bosco stood up, walked to the bookcase, fetched a Greek Bible and put it to the Waldensian pastor out by saying, "Here, sir, the Greek text. You are welcome to refer to it, and you will find that it agrees completely with the Latin text." Meille had bluffed, so as not to have to admit defeat. He had no knowledge of Greek, which is why looked at the book upside down and leafed through it. When Don Bosco turned it right side up, he was embarrassed, turned crimson, jumped up and stormed out of the hall. The dispute was over. Then they changed their approach. One Sunday in August 1853, two men came and went to the Saint, one of them was a Waldensian pastor, as it turned out later. They flattered Don Bosco, and finally offered him a considerable sum of money, with the announcement that he would get a lot more of it, if instead of writing books about religion, he would turn to history of science, because his contributions could be so valuable. Don Bosco rejected indignantly, and the two men swore at him and finally even threatened, "If you leave the house, are you are sure to return?" "Catholic Priests are for the Glory of God and the Good of Souls and Ready to Die"
John Bosco answered them: "I see that you do not seem to know who I am. I am a Catholic priest and Catholic priests are for the glory of God and ready to die for the good of the souls entrusted to them." The two men wanted to attack the Saint physically. Don Bosco took a chair and said, "If I wanted to use violence, I would have the power to make you feel this provocation. The power of the priest is but in patience and forgiveness. So I think that it is time to end this conversation." At that moment the door opened and Giuseppe Buzzetti, a loyal employee of Don Bosco stood in the doorway. The Saint said quietly to him, "Accompany these men to Confession!" The Waldensians then attacked with other means of persuasion. One evening Don Bosco was called to a patient to take his confession. In the house he found a group of men who flattered him and urged to drink with them a glass of wine. Don Bosco remarked, however, that his glass was filled from another bottle, than the glasses of the men present. When he refused, two of the men were holding him, while the other wanted to for the wine violently. He dealt with predicament in a ruse: "If you believe it is necessarily, then I drink, but let me free, otherwise the wine will only spill". When they released him, he jumped quickly to the door, flung it open and called in the four young men, who had accompanied him to protect him. The men gave up their project in he face of the changing situation. Don Bosco asked a friend to inquire about the background of this attack. It turned out that the men in the house had been paid to poison the saint. Called to a dying person, a group of armed men with truncheons lurked for the saint, who would kill Don Bosco. Since the attackers had turned off the light, the Saint could initially protect himself with a table. Alarmed by the noise, his four faithful companions came to his aid, so that he escaped from the house unharmed. Protestants now wanted facts: On a January afternoon in 1854 Don Bosco got a visit from two men. They called on him to stop the publication of Catholic writings or else we'll fix you. As the threats did not impress the Saint, the men said to him: "Either you do it or you're dead." They pulled guns and held them on the Saint's breast. "Then shoot!" Dom Bosco hurled against them with a strong voice. Giovanni Cagliero, a confidant of the Saint, had not trusted the men and therefore followed them on his own initiative to Dom Bosco's room. He now rushed with loud shouts of "Help" into the room, which surprised the two attackers, who wanted to intimidate the Saint that they quickly hid the guns and ran out of the room. Despite the many attacks on his life, the saint never wore weapons and never used violence. He gave himself completely to Providence, which protected him. This included "Grey", a powerful large dog who repeatedly freed the holy Don Bosco from dangerous situations. Vain however, was the effort of John Bosco to the Catholic priest Luigi De Sanctis. The Roman De Sanctis was a member of the Camillian Order, a professor of theology and a well-known priest in Rome in the 1830s. But in the revolutionary year of 1848, De Sanctis turned his back on the Catholic Church, left his Order and its parish and went to Malta. He became a Protestant and married. A little later he was Vicar of Pastor Meille in Turin and took part in the anti-Catholic magazine "The Evangelical Light", which was directed primarily against Don Bosco. When it came to conflicts within the Waldensians, De Sanctis became Calvinist, which is was what cost him his place in the Waldensians and plunged him into a deep crisis. Don Bosco contacted De Sanctis on 17 November 1854. He tried to pave the apostate priest's way back to the Catholic Church. The move may seem surprising, after all, De Sanctis was a "traitor" and had written numerous writings against the Catholic Church, especially attacks against the Sacrament of Penance. 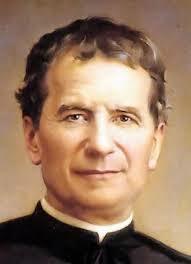 But Don Bosco was convinced of the dogma, Extra Ecclesiam Nulla Salus. He was concerned about the salvation of the souls of men. In fact, De Sanctis replied. This resulted in an intense exchange of letters that has been preserved. "You can not imagine the impact that your friendly letter of yesterday had on me. I could never imagine that there is so much generosity and so much kindness in a man who is my open enemy. Let's make no mistake about it. I fight your principles and you fight my principles, but while you fight me, show me, love me sincerely ... "
Don Bosco, who was convinced that in a fallen priest there must prevail the largest moral dilemma, which is why he wanted to present him with his hand of friendship, but was disappointed. Six months later, De Sanctis resumed his attacks against the Catholic Church again, went to Florence, returned there back to the Waldensian Church and died a Waldensian in 1869. Don Bosco should speak of a "hardened heart" and a "darkened intellect", which kept its grasp on the former Camillian. "And the hits just keep on comin'"
Yes, a true and faithful priest would do what he could to bring heretics into or back into the true fold of Jesus Christ. Many of them were in the first italian parliament in Rome after Porta Pia, one of them was among the soldiers, he wanted the pope to be killed, he called his dog Pionono......Turin is a masonic city in all senses. What's with this book kissing epidemic ,this gesture says that you fully accept and revere the teachings contained in it ,even if they contradict the teachings of the Church as is the case with the Koran which denies the divinity of Christ ,everyday Christians are been killed for refusing to convert to Islam and we have Popes bowing and kissing the Koran it s betrayal I have yet to see a Muslim or Rabbi kissing the Gospel . I'm a former Salesian College pupil. Thanks for posting this. This and other false ecumenical nonsense may well be what Dom Bosco's dream of two pillars was all about. The Eucharist and the Priesthood as one pillar and the Holy Mother of God on the other is not new. They have been the two solid pillars of The Church from the beginning. So why would a pope be struggling to steer the ship (The Church) between them and and moor itself to them when She has always been berthed between them? Maybe only if this particular ship was so filled with heresies and false religious worship that God forbade it. Alot has been assumed about that dream. We always assumed that the pope would be a good pope. What if he was Not so good? What if he was bad like John XXIII, Paul VI, JPII and Benedict XVI or even evil like Francis? Puts that dream in a whole new light. Reminds me of JPII kissing the Koran. At least the Koran is a venerable and respected book from a legitimate religion....even though for the Pope to kiss it was wrong. But this Waldensian book....LOL. Pope Francis looks like a fool doing this. He doesn't realize what a scandal it's caused......but he probably could care less. "At least the Koran is a venerable and respected book from a legitimate religion..."
Dear God have mercy!...you were joking, right? Yep. This black eyed communist Pope is about as Catholic as an amoeba. Since the man who gives a filial kiss to the words of those who hate Christ and His Church is not the pope, where is the pope being hated? 'Catholic' blogdom is reeking with Pope hatred ever since Ratzinger abdicated and Francis became the Vicar of Christ. The issue is resentment that the former comfortable little regressive boutique 'catholic' church of the conservatives and lunar right Trads is gone and probably for good. Mike/Michael/Tool/Whatever....the issue is heresy, and it veritably reeks from the pores of the current occupant of the throne...by his own words! " I feel like saying something that may sound controversial, or even heretical...", and then he goes on to say something (yet again) heretical. He is the enemy of Christ and His Church. And calling Benedict XVI simply (and disrespectfully) 'Ratzinger', shows to all that you feel it's ok to hate a pope who loved and promoted the Tradition of the Church. Hate to tell you this, but your 'former' colleague is still your current colleague. Tool. Many, many people who are good Catholics and traditional hate Pope Francis for the harm he is doing the Church. They do not hate the institution of the Papacy, they hate this man and his agenda and the radical liberal Catholicism he represents. If you don't believe me, go to Italy. See for yourself the declining Wednesday audiences for Bergoglio. I friend of mine who is a young nun in Rome itself (in a traditional teaching Order), e-mails me 1-2x a month with her "Pope news". She has been in Italy as a nun(originally from Philadelphia,Pa), for eleven years (sne went to Italy to find a good teaching Order of traditional and loyal sisters who wear the traditional habits since there were once many but now are zero in the Philadelphia area) and probably less than 6 in the whole USA ! She tells me that his audiences are a shadow of what Benedict XVI had, and that she has never felt people there having such total contempt for the man and what he represents.....not the Papacy, but an agenda that they hate. He is ruining the Church, he and his advisors ( Dolan the "Humpty-Dumpty" clown and all the rest). The people actually wish he was gone. Don't most of us too? @susan. Agree. The books of false religions are poison and those who pay respect to them a poison-merchants - God has given them no commission to do so. There is one religion that is true - the Catholic faith. It is the only religion by which God intends that we should be saved - it is His revelation of salvation. Not protestant adulterations, not the Judaic 'cursed-fig-tree' resistence religion, not the brutal and appalling islamic heresy (the koran compares the Most Holy Trinity to excrement), not the demon-gods of the pagan past dragged into the present and not the insidious convergence institution that has tried to build a house of sand over the top of the entire Catholic religion since the sixties. Anon...I feel you passion and fully understand your pain, but don't even hate the man. Hate with every fiber of your being what he's trying to do to Christ's Church, and fight against it in every possibly way you can, including calling him out in clear terms on every heretical, heterodox, modernist, marxist thing he says; but do remember to pray for the man...that he might yet be converted, repent, and be saved. Christ's blood was shed for him too, and his immortal soul is very precious to Our Lord. He is now an enemy of the Church...pray that he won't always be so....for that will take a miracle. He’s a shoe in for canonization now. All you have to do is perform scandals against the Catholic faith so you will inurn be declared a model to imitate later on. Wonderful! This article gives the lie to those fools who think the heretics are harmless souls who didn't hurt anybody. Now you know why the Church punished these folks so severely in the past! Breaking Bomb News!! !....Pope Francis meets top Freemasonry leaders at the Vatican!!! Here is the Vatican translation of the Holy Father's address to the delegation of the B’nai B’rith International Lodge at the Apostolic Palace today. 3:41 AM. Get help. Psychotropic medication is available. Ha! Hey Micahel, He'd have to actually BE pope before I could "hate" him even if I were "hating". Unfortunately for this sad clown, Pope Benedict never abdicated and as you may or may not know, there can't be "coadjutor" popes, such a thing doesn't exist. Not Pope, but definitely a joke. Yes, Liam, but those who refuse to lie or collude with evil, know it is simply one big hit - the man is a manifest and pertinacious heretic who is an enemy of God and His Holy Church and a scandal and danger to souls. Anyone who loves God and His Holy Faith and His Holy Church will want Francis gone, for this evil to end. Blessed Michael, the Archangel, defend us in battle . . .
"Venerable and respected" by whom? What an IDIOT!! I'm sorry but anyone who says that about a book which calls the "very ideal of the Holy Trinity "excremental" would never dare to call such trash "venerable". Seriously man, with all thy getting, get understanding. @anonymous. Unfortunately few people know the facts about the false-faiths, which, in their essence, exist to attack the truths of the one revealed Church established by Truth Himself. The reason for this ignorance is because our 'churchmen' are too busy lauding said false-faiths and thereby mocking God and His revelation. Such faithlessness leads souls to the father-of-lies. Jesus, through the Holy Spirit, has confirmed the election of his Vicar. You need to understand this. On that note, I have a feeling something bad is going to happen in Philadelphia during or just after his upcoming visit. «Less than one percent of Italians are Protestant. But Protestant churches have been in the forefront of defending the rights of minorities. So, in the late 1970s - when homosexuality was essentially taboo in Italy - the Waldensian Center of Agape, in Northern Italy, opened its doors to gay believers, and since then has sponsored an annual conference on faith and homosexuality. The Waldensian Church has become so popular in Italy's gay community that the national gay and lesbian organizations officially invite their members to sign up for the Waldensian Church when they pay taxes. (Italian law allows taxpayers to allocate a small percentage of taxes, 0.008 percent, to churches of their choice). The majority of gay and lesbian Christians who attend the Agape conferences are Roman Catholic. 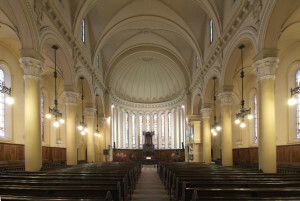 But in 1998, members of the Waldensian, Baptist and Methodist Churches - clergy and lay people, men and women, straight and gay or lesbian - founded the Italian Protestant Network on Faith and Homosexuality. "It was not enough to be perceived as a 'liberal' church, said Giorgio Rainelli, the national coordinator of the Network. "The fact is that our churches do not have an official and clear position on homosexuality, and we felt the need to deepen our understanding of inclusiveness, to work out our theological awareness and to be more effective in pastoral care for sexual minorities." As a result of the network's efforts, last year's General Assembly of the Baptist, Methodist and Waldensian churches agreed to set up a theological commission on homosexuality, which will produce materials for congregational study and report to the next joint Assembly in 2005. Jesus, through the Holy Spirit, has ALLOWED the election of this clown of a vicar. And he is a just punishment. MEN elected him, with their God-given free will...do you remember from CAT 101 that God may inspire, and provide numerous Actual Graces, but man has the FREE WILL to reject Him and His divine guidance?....this includes cardinals at a conclave. You need to study the Faith....you have it desperately wrong...on so very many levels...'mike'. My cat is more Catholic than this Pope. No novelist would dare make the Papal shenanigans up. It may be tempting to hate the Pope, but one must not do so. He needs to be prayed for, precisely because of these scandals. If we hate our neighbour, whom we can see, how can we love God, Whom we cannot see ? That is St. John's question, in 1 John, and it's a very challenging question. You do relies he kissed a bible? The bible is not one of " The books of false religions". Unless you are just admitting that the catholic church rejects the bible. !!!! !READ ENTIRE THING BEFORE YOU RESPOND!!!!! Listen i'm a baptist. I don't like pope Francis. I hate him both for being a pope and for being a open boarders, homosexual, liberal idiot. So don't think that i'm defending him. I will say your defense of persecution against the Waldensians is stupid and cruel, and the fact that you suggested a freaking BIBLE should be "Thrown in a fire", simply because a Waldensian pastor is the one who gives it to you, and the fact that it's in your churches catechism is some kind of creepy confession that the RCC has no respect for the word of god. The Waldensians were persecuted for centuries. Long before Bosco was ever born (and even before the reformation). All the way back in 1211 80 Waldensians were burned at the stake. One of the worse was in the 1480's when their was an event were Waldensians were trapped in a cave and smoked to death. It's recorded that infants suffocated in their mothers arms. And then you try to link Waldensians to the Freemasons. Any group can be infiltrated by Freemasons. It was easy for you to make that link because you started on the history of this group that goes back to the 1100's on an event that happened in the 18's thus forcing the subject on a singular assassination that happened centuries late into their history and on contact with Freemasons that happened late into their history. You know what's scarier than an un-organized group getting connected to the Freemasons? Why a deeply organized group FOUNDING the Freemasons of course! During the crusades the CATHOLIC church FOUNDED a group known as the knights Templar. The knights Templar was the foundation orgin of the Freemasons and they were recorded practicing BAPHOMET worship in secret meetings. And a bunch of other stuff that do not involve any of the junk such as Freemasonry or Assassinating Jon Bosco. Random, you're totally ignorant of real church history. You're probably a partisan of the trail of blood thesis which is so popular among certain Bapists. Sorry Random, it's not true. Read Bapist Succesionism by McGoldrick, who's a Bapist btw. As for the claims you made in your last paragraph, there wete reasond why the Waldensians wetr treated severely. 1. Their Bibles were a heretical translation that was slanted to support their false doctrines. That's why they was burned. 2.Infant baptism was practised from the very begining of Christianity. A teadind of church history proves that to be true. The only groups that ever demanded rebaptism or so-called believers or adult rebaptism wete heretical sects that taught a slew of false doctrines, many of them borrowed from pagan gnostic cults. 3.The priest had a legitimate calling, and they taught true doctrine. The heretics had neither. 4.Of course they were unauthorized. They were teaching heresy! Please, do some reading in actual church history, instead of repeating history that is distorted to fit a slantrd thesis.